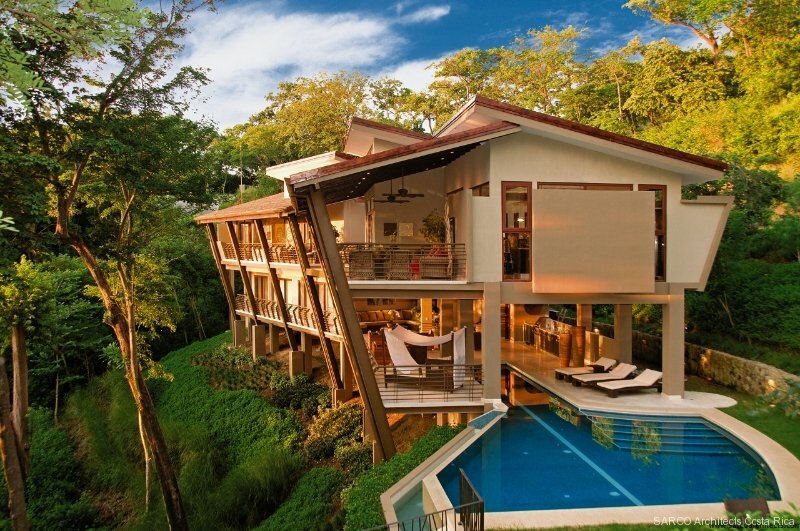 Sarco Architects Costa Rica is being awarded the Americas’ Property Award for this magnificent design. A select number of property professionals across the Americas are about to be rewarded for their excellence. The Americas Property Awards 2012 have now been judged and SARCO Architects Costa Rica has been informed that it is amongst the winning companies. Three awards are given for each country per category and SARCO Architects Costa Rica is to be presented with one of these prestigious accolades, for the participating project Peninsula Papagayo luxury home: Bartlett Residence. Successful entrants have been invited to attend a high profile gala presentation dinner at the Grosvenor House Hotel, Park Lane, London on Friday, December 7th where the official announcements will be made. This follows a Property Summit held during the day attended by Presidents, CEOs, Managing Directors, Chairmen and other decision makers. The event presents an ideal opportunity to make connections and generate new business and is open to all industry related companies and suppliers in addition to award participants. The Americas Property Awards are part of the long established International Property Awards and its award winners’ logo is recognized as a symbol of excellence throughout the global industry. Attaining one of these coveted awards is indisputable evidence that SARCO Architects Costa Rica is capable of beating some exceedingly strong contenders within the highly competitive Americas’ property arena. The highest scoring winners from the Americas Property Awards will now compete against other winning companies from Asia Pacific, Africa, Europe and Arabia to find the ultimate World’s Best in each category. The overall international winners will be announced following the presentations of the Americas Property Awards. Sarco Architects is a full-service architectural design-build firm dedicated to the design and construction of the finest, most well crafted and resolved luxury homes in Costa Rica. Sarco Architects is driven by a desire to always be at the forefront of technology and its application to architectural designs. They strive to deliver the most exceptional service possible and provide the best solution for architectural services for foreign clients in Costa Rica and Panama . This press release was prepared by Bobrow Consulting Group (BCG – http://www.bobrow.com ) for Sarco Architects Costa Rica. BCG works with building design professionals to build their business by optimizing their online strategy, teaching an architect marketing course as well as offering web design and SEO consulting services.